Known formerly as the Kingdom of Lo, Mustang lies in the Dhaulagiri zone of Northern Nepal. Mustang is home to beautiful valleys like Kagbeni, Jomsom, and Lo Manthang. On the beds of the Kaligandaki River, the nomadic life draws visitors all year round. Falling in the rain shadow area of Annapurna and Nilgiri Range, Mustang received strong winds, and the highlands have rocky soil. 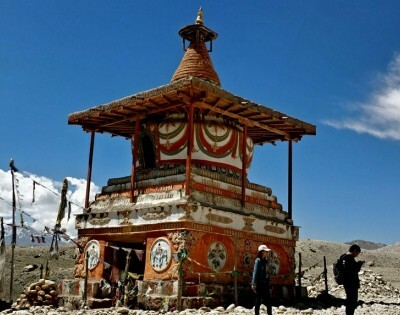 The popular treks in Mustang are namely Upper Mustang Trekking and Jomsom Muktinath Trekking. The Gurungs in the Lowlands, the Tibetans in the north, Manang is in the east, and Thakalis in Jomsom give a sense of hospitability even in their close-knit community with diverse cultures and traditions. Influenced heavily by Tibetan Buddhism, Mustang has customs and traditions very similar to Tibet. The main attraction in regards to pilgrimage in Mustang region is Tiji Festival and Muktinath Temple. The Jomsom Muktinath trek focuses mostly around the Muktinath temple, one of the holiest places for both Hindus and Buddhists. Walking on the “Apple Pie Trail,” the trail leads to the world’s deepest Gorge, Kaligandaki Gorge. Among the vistas seen from Upper Mustang are Mount Tilicho, Mount Dhaulagiri, Nilgiri range, and the Annapurna massif. In both of the treks you once a forbidden kingdom, the trail now attracts trekkers from all over the world.